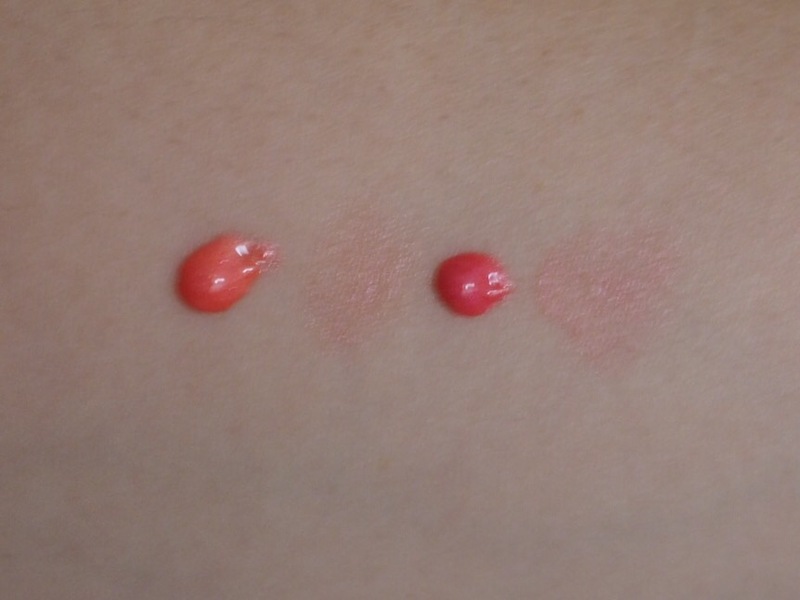 Review and Swatches of Gosh Copenhagen Lumidrops Blusher Shades Coral Blush 009 and Rose Blush 008. Here is a quick post about my new favourite blusher. I wrote about Gosh Lumidrops Coral Blush for ReallyRee recently and was so pleased that I headed to Gosh and did a little raid. Gosh Lumidrops come in 5 shades- three highlighters- Vanilla, Peach and Bronze -and the blusher shades- Coral and Rose. They are £7.99 for 15mls. They contain skincare ingredient dandelion extract, which is stuffed full of antioxidants and minerals. I don’t know if a skincare ingredient in a makeup is going to have that much of an effect on the skin to be visible. Can’t hurt though I suppose. I do prefer a liquid blush personally. Powder blush is fine but it doesn’t seem to stick around on my face. I have been using The Body Shop’s Lip and Cheek Stain but it’s almost too pigmented. If I don’t blend it out quite quickly enough I look like I’m having an allergic reaction. I usually have to put foundation over the top of the Body Shop’s Tint to bring it down a bit. Gosh Lumidrops Blush is my new “The One” cheek product. I’m really happy with it. It’s really easy to blend and has a glow to it that brightens the complexion. The Coral Lumidrops is warmer/ more orange than the Rose. I think I prefer the Coral Lumidrops. 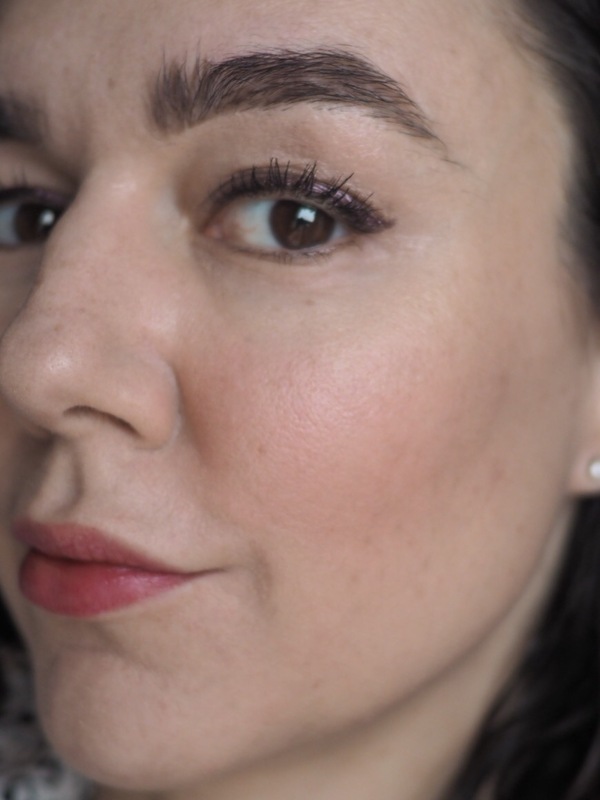 I was having a conversation with someone about liquid blush- when to apply it. I think it’s best straight after foundation has gone on, so it’s not quite set. Then powder on top. I find it best to squeeze out a small amount of the Lumidrops blush onto the back of my hand first. I do a big smile and dab a couple of spots of the blush to the high points and then blend with a different finger. You could also use a blending sponge. I then apply some bronzer to the hollows under my cheeks for a bit of contour. Gosh Copenhagen is proudly Danish and has origins in the pharmaceutical industry. Their cosmetics are cruelty free and many of them are Vegan. I’m interested to try more by Gosh, they do Foundation Drops which look cool and I fancy having a go on the mascaras too. If Gosh Lumidrops blushes are anything to go by, there could be some other gems to be found. Gosh Copenhagen Lumidrops in Coral blush 008 and Rose Blush are both lovely and give a natural rosy glowy blush. They are similar to Becca’s Beach tint and Daniel Sandler’s Watercolour (but a bit cheaper). 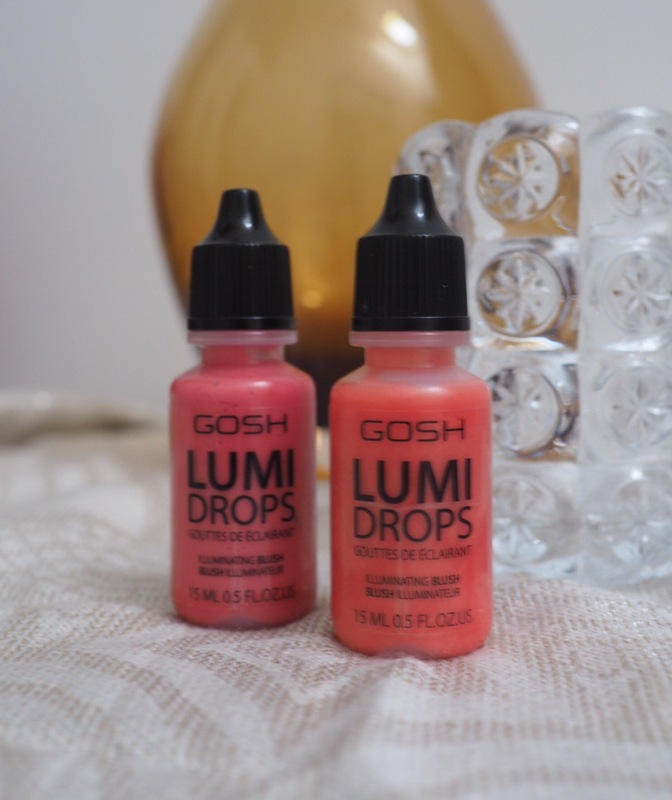 Have you tried Gosh Lumidrops Blushes? What did you think? Next Post Do Clay Masks Really work?